We offer Master of Arts and Doctor of Philosophy degree programs that are structured around five subfields: Canadian Politics, Comparative Politics, International Relations, Political Theory, and U.S. Politics. We enroll approximately 20 MA students and 10 PhD students every year, and we offer a range of graduate seminar courses. We are focused on providing high quality graduate education, and we mentor our graduate students in their professional development, through research collaboration, workshops, and colloquia. international norms, institutions and goverance, and human security. Quantitative Methods: we are particularly strong on quantitative methods for students using this kind of approach, with the deepest lineup of persons engaged in systematic quantitative research and the country’s most robust sequence of graduate methods courses for those students wishing to acquire a sophisticated understanding of quantitative analysis. Regional Area Strengths: we are exceptionally strong in the study of Asian politics, the politics of the Americas, European politics, U.S. politics, and Canadian politics. The basic program for PhD students is two years of graduate coursework, followed by comprehensive exams which students may take in either the fall (September-October) or spring (March-April) following the completion of course requirements. Students then write a dissertation proposal by the end of their third year of study, and with its approval move on to their dissertation research and writing, which normally takes two to three years to complete. The basic program for MA students is one year, and is scholarly rather than applied. Our program grants students a great deal of flexibility in areas of concentration, and it is an excellent vehicle through which students can explore the discipline of Political Science at an advanced level and assess whether or not they possess the interests and capabilities to pursue a PhD in Political Science. Many of our MA graduates go on to pursue doctoral studies, while others secure jobs in government, international organizations, or nongovernmental organizations. We are proud to offer funding, whenever possible, to our MAs and PhDs. Each fall, we encourage and coach our PhDs to apply for Social Sciences and Humanities Research Council doctoral fellowships. Over the past decade, our Department has been extremely successful in these competitions, and an extraordinary number of our PhDs have been awarded top national scholarships, such as the Vanier and Trudeau. Furthermore, our students have garnered Canadian Consortium on Human Security Fellowships, Commonwealth Scholarships, UBC Simons Center Graduate Awards, and Killam Predoctoral Fellowships. 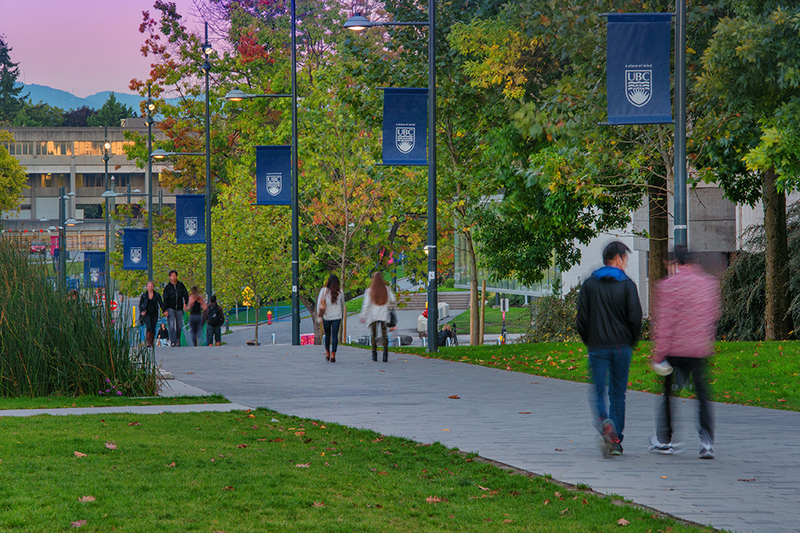 For more information about graduate fellowship opportunities at UBC, please see the UBC Graduate School’s awards site. We have over 30 Full-Time faculty members, with diverse research interests and areas of excellence. There are a number of faculty with research chairs and innovative research programs, and we are strongly affiliated with multiple research centres and institutes on campus. Many of our graduate students are able to obtain Research Assistantships, and some have had the opportunity to co-author papers with faculty. Our Department and UBC provide a number of training opportunities so that our graduate students can develop their skills as teachers. Most PhDs and MAs will have the opportunity to serve as Teaching Assistants during their time in our Department, and this provides a sustained and comprehensive experience to learn about teaching at the university level, while being mentored by a course instructor. These are paid positions and require students to work an average of 12 hours per week over the academic term. For a list of our graduate courses in the current year, see here. The details about our MA and PhD programs can be found in our Graduate Handbook. Click on the tab on the left-hand side to download our most recent Graduate Handbook.